Cornelia Stuyvesant Vanderbilt (1900-1976) was born at the famous Biltmore Estate, a large (8,000 acre) private estate in Asheville, North Carolina. Biltmore House, the main house on the estate, is a Châteauesque-styled mansion built by George Washington Vanderbilt II between 1889 and 1895 and is the largest privately owned house in the United States, at 178,926 square feet (16,622.8 m2) of floor space (135,280 square feet (12,568 m2) of living area). 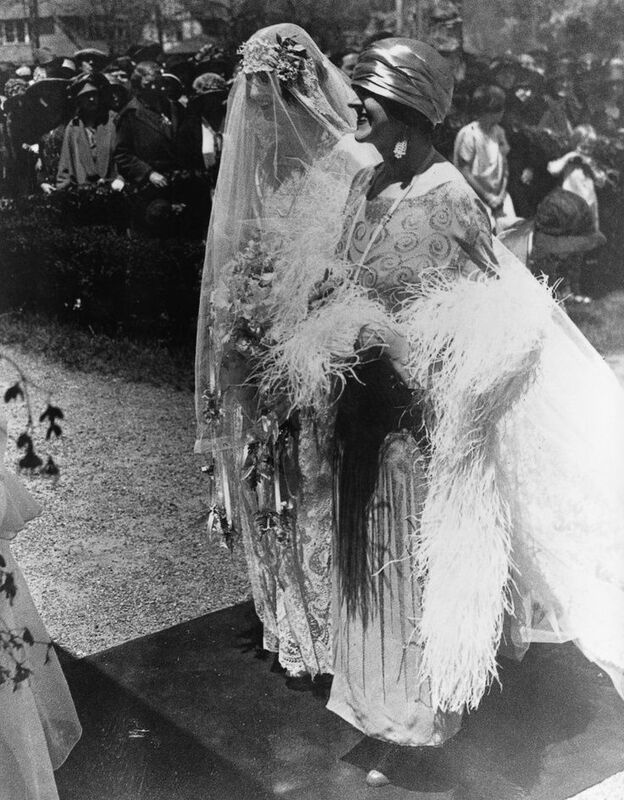 Cornelia was the only child of George Washington Vanderbilt and Edith Dresser Vanderbilt. Cornelia inherited the Biltmore Estate from her father. 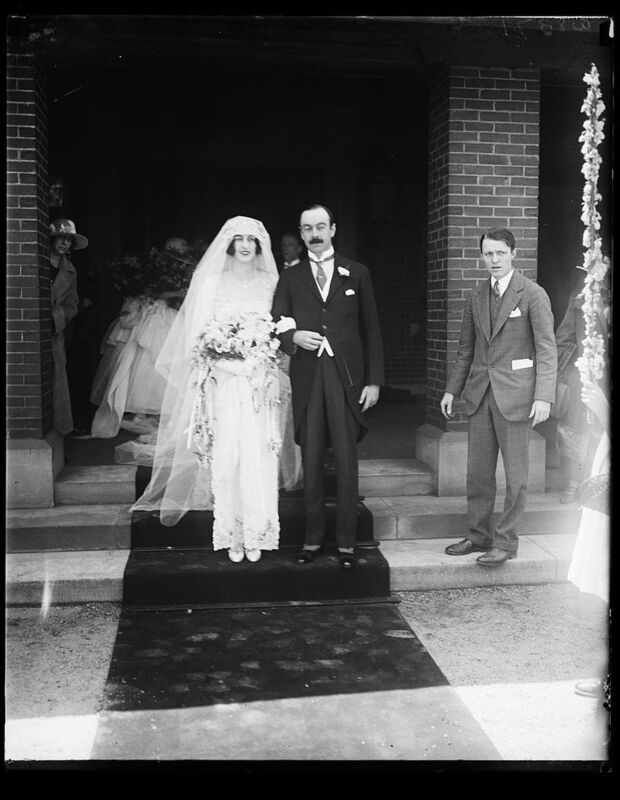 Cornelia was married first to Hon John Francis Amherst Cecil in 1924. About 1932, Cornelia found life at Biltmore too dull to endure and moved to New York briefly to study art. After a few months she moved to Paris, divorced Cecil in 1934, changed her name to Nilcha and dyed her hair bright pink. That phase passed, and while living quietly and modestly in London, she met and married Vivian Francis Bulkely-Johnson about 1950. At some point she adopted the name Mary. Her last marriage was in 1972 to William Goodsir, 26 years her junior. They lived very quietly; Cornelia never spoke of her past. Her sons with Cecil, George Henry Vanderbilt Cecil (b. 1925) and William Amherst Vanderbilt Cecil (b. 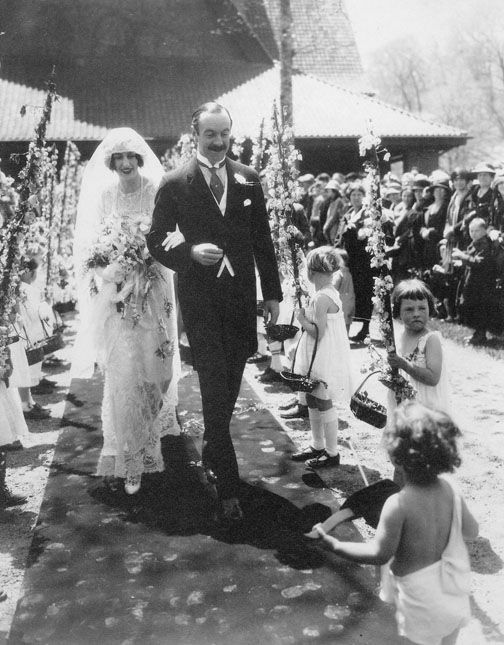 1928), eventually inherited the Biltmore Estate and land (source). 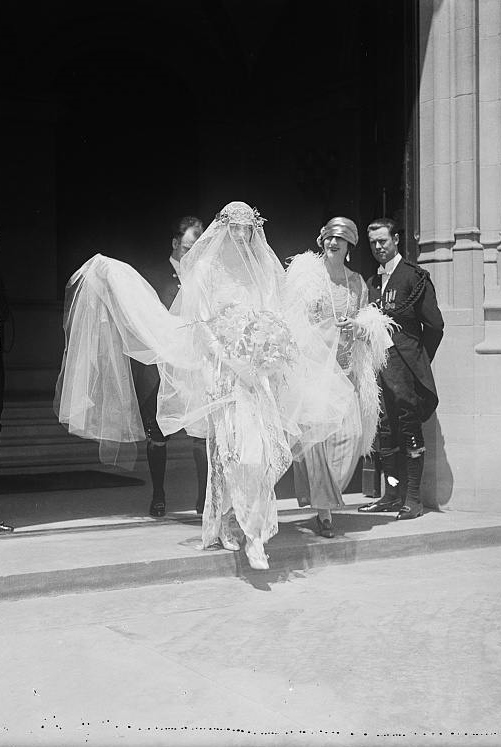 This entry was posted in Cornelia Vanderbilt, Photographs, Society Weddings, Wedding and tagged 1920s, 1920s bride, 1920s wedding, 1920s wedding dress, Biltmore Estate, Cornelia Vanderbilt, ohn Francis Amherst Cecil, society wedding, Vanderbilt family, vintage black and white photos, wedding, wedding dress, wedding photos. Bookmark the permalink.